Today marks the first day of the month, and that means my wife and I are sitting down for our monthly budget meeting. We have been meeting this way to craft a monthly budget for almost 2 years now. We believe that when it comes to money, the best way to avoid the effects of our poor economy is to take control of our personal finances. A budget is the only way to do this. By budgeting wisely, we have developed smart financial habits, and thus have avoided stress and arguments about money for a while now. Many people think budgets are tedious and boring. 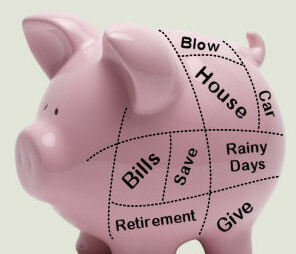 But if you can plan where your spending will go, you’ll make better decisions with your money. Give every dollar a job to do at the beginning of each month, and you will gain control of your finances rather quickly! Andrew Tobias came up with a three-step budget: Destroy all of your credit cards (I completely agree with this). Then invest 20% of all you earn (and never touch it). Live on the remaining 80%, period. You can set up a budget on a piece of paper, or in a spreadsheet, or with a piece of software. I like using Dave Ramsey’s forms, as they are very comprehensive. His budget is extremely comprehensive and causes us to be very mindful of every dollar. If you have the patience, this will work wonders for your finances. I have found that most people truly do not know where their money goes each month. Tracking expenses will solve this! You can track your spending with a simple notebook, but many people enjoy using spreadsheets or software like Quicken. Tracking your spending online or on your smartphone is easy with Mint. It is a great app, and can help you in all areas of your financial life. It’s never too late to get on a budget! Every 1st of the month is like New Year’s Day all over again. You can turn around your finances any time, and a budget is the way to do it. It will be difficult at first, but most behavioral changes are. You’re changing your mindset and attitude toward your money, and that takes time. But the longer you do it, the easier it becomes. It won’t be too long before your budget has become your habit.